Our voltage converters help to power your devices in another country than what they were initially intended. Make sure you select the right size converter for your application, as sizing it too small will result in the fuse blowing constantly. Our pure sine wave inverters, sometimes known as true sine or pure wave, provide quality AC power for all of your devices. Our models produce an output wave that is equal to or better than what you might receive from the power company to your home or office. Pure sine models are recommended for battery chargers, medical equipment, sensitive and scientific testing equipment, and laser printers. 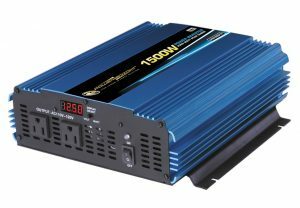 Our modified sine wave inverters are an inexpensive way of converting your 12 or 24 volt DC battery bank into 110-120 volt AC (North American electrical power). 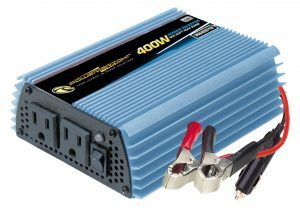 These are a common and economical choice for most customers looking to install an inverter in their vehicle, camper, RV, and stationary setups. 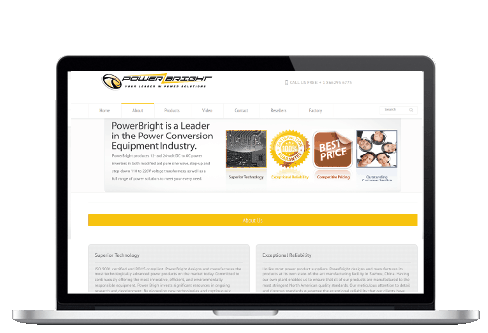 Looking for some low-cost power backup? Great product and price. 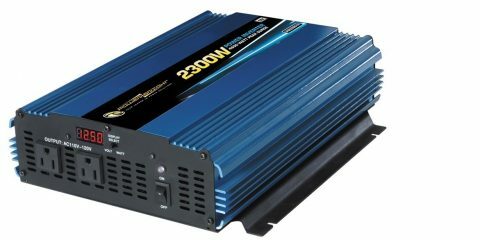 I bought the 4000 Watt model to have some AC power during grid blackouts, which I just experienced a 16 hour electrical blackout last month. It is generally a good idea to go with a larger sized inverter to reduce the strain and to account for unexpected energy draws. Heating appliances and motorized appliances tend to have a very large starting surge which lasts for several seconds which is longer than the peak power of an inverter is designed to last. For heating and motorized devices, we recommend choosing a model with at least double the continuous rating. For example, a 700 watt freezer may draw up to 1400 watts or more during startup and the wattage should be counted towards the continuous rating of the inverter, not the peak. 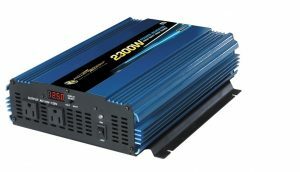 What’s the difference between pure sine wave and modified sine wave inverters? Modified sine wave inverters are the most common style of inverter on the market. They generate a simulated AC current that is tuned so that it works with as many devices as possible, but there are some devices which we do not recommend using a modified wave inverter with. 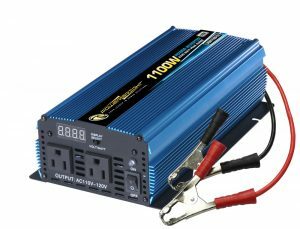 If there is any doubt, you can contact the manufacturer of the device in question and ask if it will work on a modified sine wave inverter. Pure sine wave inverters produce a higher quality output which is similar or better than the power you receive from your wall outlet. These models are more expensive and less common as most applications will work fine on modified sine wave inverters. 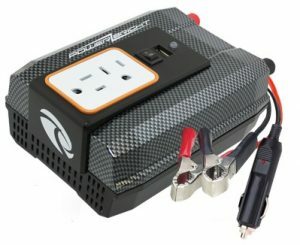 Can I plug my inverter into the DC port (cigarette lighter port) in my car? A vehicle DC port is usually rated to 10-15 amps @ 12v. This means that the port is limited to about 120-180 watts. We provide a cigarette lighter plug (DC port Adapter) with our smaller units rated at 500 watts or less. 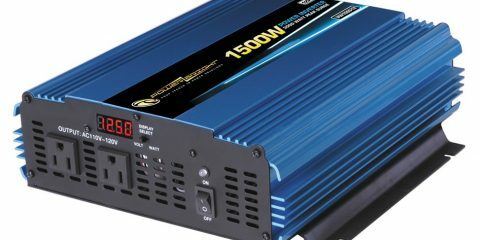 In order to use more than 120-180 watts, you would need to connect the inverter directly to a battery. 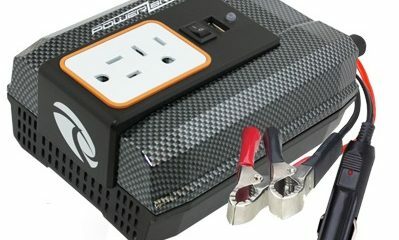 For larger sized inverters, you would need to install the unit using battery cables with ring connectors. I just tested my inverter and saw 90 volts. Why is my inverter only showing 80-100 volts on my multimeter? Our modified sine wave inverters produce non-sinusoidal AC waveform which average responding multi-meters have trouble reading. You must use a “True-RMS meter” (which uses the Root Mean Square method) to get an accurate readout of the output voltage of a modified sine wave inverter. More information available here.